Hanoi (VNA) –Director of the US Agency for International Development (USAID)’s Environment and Social Development Office Christopher Abrams has suggested Vietnam should pool domestic resources to develop renewable energy and import natural gases to increase their supply in the future. 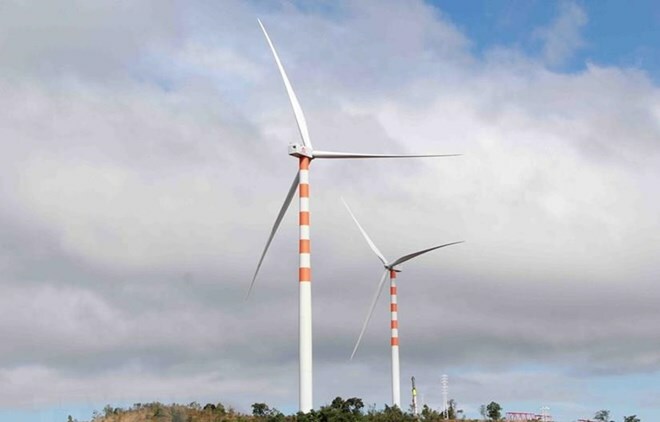 In a recent interview with Vietnam News Agency, Abrams said Vietnam and other countries have recognised that clean and renewable energy is the future of the energy sector. With annual economic growth of 6-7 percent, Vietnam’s energy demand will increase by 10 – 11 percent between now and 2030. The capacity of the domestic power sector is about 40 GW annually. As of this June, the country will have nearly 2,000 MW of solar power, a figure which has surged some 2,000 percent over the past three years. According to him, Vietnam’s challenge in the next 5-10 years is managing discontinuous power resources and transmission systems to bring power to areas in demand. The power development master plan VIII will be announced in the near future, which will devise measures to enhance the use of renewable energy apart from thermal power and natural gases, join wholesale and auction markets, as well as public – private partnerships in building transmission systems. Lauding the potential of solar power from roof tiles, Abrams said it is also the future of dispersive power systems, dubbed “customer-oriented” systems, meaning that customers are also power producers. He said the interaction between roof-tile solar power and the national grid, power purchase prices and taxes need to be clarified, adding that the USAID is assisting the Ministry of Industry and Trade (MOIT) and the Vietnam Electricity in the issue, including by building the power development master plan VIII based on its experience and expertise. Accordingly, the MOIT will revise measures to ensure diverse and effective power supply by 2030. Abrams also said Vietnam is home to a huge source of fossil fuel which is necessary for power development in the next three decades.